Raise a Green Dog! : GMO's and how they may affect your dog's life. GMO's and how they may affect your dog's life. Even though they've been around for years, you may have been hearing a lot more about GMO foods in the news lately. GMO stands for genetically modified organisms. GMO "refers to techniques used by scientists to modify deoxyribonucleic acid (DNA) or the genetic material of a microorganism, plant, or animal in order to achieve a desired trait," according to the FDA. "In the case of foods, genetically engineered plant foods are produced from crops whose genetic makeup has been altered through a process called recombinant DNA, or gene splicing, to give the plant desired traits." It means that "the initial objective for developing plants based on GM organisms was to improve crop protection," shared the World Health Organization. "The GM crops currently on the market are mainly aimed at an increased level of crop protection through the introduction of resistance against plant diseases caused by insects or viruses or through increased tolerance towards herbicides." As an example, insect resistant seed is created by incorporating a gene for toxin production from the bacterium bacillus thuringiensis, or BT. BT is used in conventional agriculture as an insecticide. By creating a genetically engineered seed with BT the idea is that the seed will produce a crop that is insect resistant. According to a recently New York Times article, "last year, (the) Department of Agriculture (reported) about 90 percent of all soybeans, corn, canola and sugar beets raised in the United States were grown from what scientists now call transgenic seed. Most processed foods (staples like breakfast cereal, granola bars, chicken nuggets and salad dressing) contain one or more transgenic ingredients, according to estimates from the Grocery Manufacturers Association, though the labels don’t reveal that. Common ingredients like corn, vegetable oil, maltodextrin, soy protein, lecithin, monosodium glutamate, cornstarch, yeast extract, sugar and corn syrup are almost always produced from transgenic crops." Some people believe that GMO's are a means of helping to ease world hunger, while many believe that they are unsafe and unhealthy. GMO foods, once re-engineered, provide the promise to be more disease, pest and drought tolerant, as well as provide additional nutritional benefits. However many believe that these promises are not being fulfilled. And not only are the foods now genetically modified, but spraying of herbicides and pesticides has actually increased over the years with GE (genetically engineered) crops. According to the American Academy of Environmental Medicine, "several animal studies indicate serious health risks associated with GM food consumption including infertility, immune dysregulation, accelerated aging, dysregulation of genes associated with cholesterol synthesis, insulin regulation, cell signaling, and protein formation, and changes in the liver, kidney, spleen and gastrointestinal system," and they have shared their sources for such information found around the World. 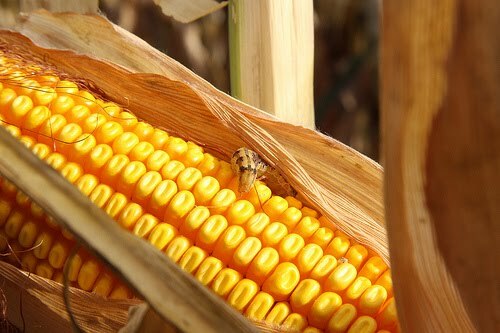 Research by French researcher Dr Gilles-Eric Seralini, from the University of Caen, and reported by The Daily Mail, UK indicates, "animals fed on three strains of genetically modified maize created by the U.S. biotech firm Monsanto suffered signs of organ damage after just three months." The report also goes on to say, "the findings only came to light after Monsanto was forced to publish its raw data on safety tests by anti-GM campaigners. They add to the evidence that GM crops may damage health as well as be harmful to the environment." 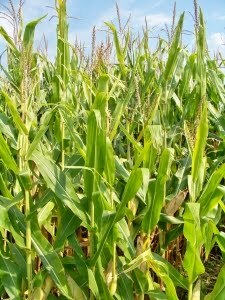 In addition, some studies are now showing that "streams throughout the midwestern corn belt are receiving insecticidal proteins that originate from adjacent genetically modified crops. The protein enters streams through runoff and when corn leaves, stalks, and plant parts are washed into stream channels." According to the NY Times, "(GMO's) are arguably different, but more important, people are leery of them. Nearly an entire continent — it’s called Europe — is so wary that G.E. crops are barely grown there and there are strict bans on imports. Furthermore, most foods containing more than 0.9 percent G.M.O.’s must be labeled." 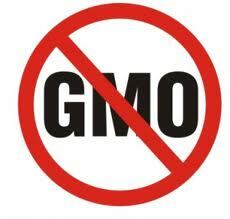 Here in the US the FDA does not require foods that are genetically modified to be labeled with GMO as an ingredient. On top of that, foods with GMO ingredients can be labeled as 'all-natural'. As an additional challenge, although organic ingredients may not be genetically engineered, there is still a risk of cross contamination, through pollination and/or during manufacturing. That risk is so high that even some organic foods may still contain GMOs. However, sourcing only truly organic is the only way to prevent or reduce exposure to GMO foods or ingredients. How your dog's food is affected. Many pet food manufacturers (other than those labeled as organic) source their meats from a wide variety of farms across the country, with many of them sourcing from factory farms. 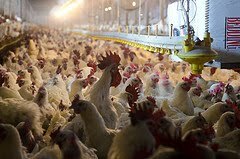 The main feed for cows and chickens in factory farms is corn and soy, which we've already learned that 90% of the corn and soy grown in the US is GMO corn and soy. In addition, raw meats or cooked meats that aren't labeled organic are sourced from cows fed with GMO corn or soy and most likely laced with a variety of pesticides and herbicides. 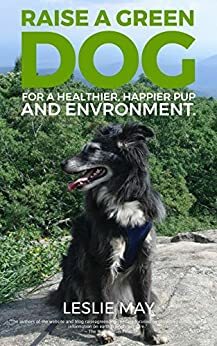 That means, through the food chain, unless your dog is eating an organic source of kibble or raw meat they are effected by GMO's in their food, which is passed on through the meat source, i.e., cow, chicken, pork and other highly utilized meat source. The only way to avoid and/or reduce your exposure to GMO's in your dog's food is to source organic, pure and simple. Organic raw meats, organic fruits and vegetables, and/or organic super high premium kibble. We've always subscribed to the practice of whole foods are the most healthy foods for your dog's body. Anything processed, genetically modified, or cooked 'to death' we believe will lead to less nutrition and effect the health of your dog. If you have a garden, source your seed from a reputable heirloom seed company. They have been growing and saving seed for years and provide the purest form of seed available on the market. Support non-GMO, pesticide, herbicide and anti-biotic, hormone free organic products. Not only will you be supporting local, organic farmers, but you'll be helping to keep your dog healthier and help the environment too. Also support companies that are committed to remaining non-GMO. You can find a list from the Non GMO Project. Tell the FDA you want truth in labeling of GMO products. Visit JustLabelIt.org to lend your voice, we have a right to know. I had no idea, GMO in dog food is news to me. Thanks for the article, just another reason to add to the list why I use a holistic diet for my guys. "Even though they've been around for years, you may have been hearing a lot more about GMO foods in the news lately." Yeah right, i seeing a lot of GMO news lately specially with bill they proposed which is GMO labeling bill. I really don;t know much about GMO so much better if government would let people aware of it. You might want to look at science studies, and not the internet when doing your research. Farmers have been genetically modifying crops for thousands of years through cross pollination. I really have no problem with most GM foods, but I do have a problem with the ones that make them immune to a specific pesticides just to make money. I beg to differ, Sean. There is a very big difference between cross pollination and genetic modification, very big. In cross pollination you are crossing related species, like an apple tree with another variety of apple tree for the purpose of creating a new, healthier variety perhaps. But with genetic modification you are allowed to take a gene from any species...including animals and splice it into a crop.